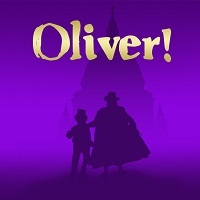 The Cotswold Savoyards proudly present one of the most beloved British musicals, Oliver!, vividly bringing to life Dickens' timeless characters with its ever-popular story of the boy who asked for more. The sensational score is full of Lionel Bart's irresistible songs including Food Glorious Food, Consider Yourself, You've Got to Pick-a-Pocket or Two, I'd Do Anything, Oom Pah Pah, As Long As He Needs Me and many more. 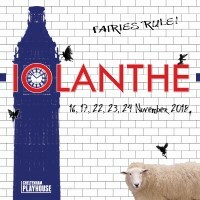 Iolanthe is a brilliantly funny, satirical fantasy, revealing a typically Gilbert & Sullivan topsy-turvy worldview. Based on W.S. Gilbert´s Bab Ballard, ‘The Fairy Curate’, Iolanthe is set 25 years after fairy Iolanthe committed the ultimate crime: marrying a mortal. Pardoned for her crime she begs the Fairy Queen to help her half-human, half-fairy son Strephon, to marry his beloved Phyllis. Unfortunately the evil Lord Chancellor wants Phyllis for himself, so naturally the fairies invade parliament so the boy can win the girl (and have a lot of fun with a few Peers). Iolanthe is one of librettist W.S Gilbert and composer Sir Arthur Sullivan´s many comic operas. The Victorian duo were brought together in 1875 by theatre manager Richard D´Oyly Carte, whose Savoy Theatre was established as a showcase for their works. Gilbert and Sullivan are perhaps best known for their operetta´s, The Pirates of Penzance (1879) and The Mikado (1885). Click here for cast and ticket information. 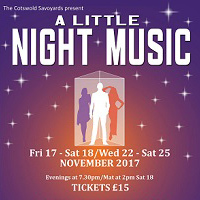 For this one off evening a talented cast of young musicians together with members of the Cotswold Savoyards bring you an entertaining evening of much loved music from theatre and film including vocal numbers, instrumental solos, jazz and brass groups. The delightful presentation features popular classics and timeless favourites from West End musicals including Les Miserables, Phantom of the Opera, Miss Saigon, Chess, Oklahoma, Cats and Anything Goes. The sheer enjoyment of music making shines through in the performance of these young people who are keen to benefit others through sharing their talent and have chosen to support the Acorns charity through this performance. Established in 1988, Acorns Children's Hospice Trust is a registered charity offering a network of care for life limited and life threatened babies, children and young people and their families, across the heart of England. 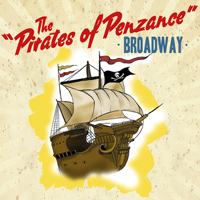 The story of "The Pirates of Penzance" follows a familiar Gilbert and Sullivan narrative of thwarted love, disguised identities combined with a gentle mocking of Victorian class and status. Frederick, the romantic hero, is due to be freed from his bond to the ineffectual pirates when he falls in love with Mabel, one of the many "daughters" of the Major General. Unfortunately, Frederick is also loved by Ruth, an older character role. A band of less than courageous policemen are sent to apprehend the pirates who have captured all of the daughters and plan to do their worst and marry them! All ends happily when it is revealed that the pirates are indeed peers of the realm. "Joyous glee" follows with all characters suitably paired off. Click here for cast information and photos. "All men are fools, and what makes them so is lacking intelligence like what I have got!" 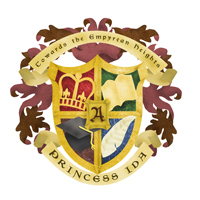 believes militant blue-stocking Princess Ida, misandrist principal of the ladies-only University of Castle Adamant, where not even a cockerel is allowed to crow each morning to rouse the feminist undergrads. Some diplomatic small print, however, requires Ida to marry Prince Hilarion to honour a 20-year-old peace treaty with rival Castle Hildebrand. Will Ida defiantly remain prince-less, or will Hilarion finally graduate to married strife, sorry, life? Gilbert & Sullivan's clever sideswipe at the influence of Charles Darwin and burgeoning women's education, uniquely couched in blank verse and driven by a sparkling music score, remains a deft battle of the sexes, giving an entirely new meaning to the term "University Challenge", whilst addressing all manner of obscure subjects. What is a gentle heigholet? What is the botanical name for a buttercup? Why is Lady Blanche such a misery guts? Is this opera really set in Hungary? Let the Savoyards enlighten you! Click here for cast list and photos. Billy instantly falls in love with a beautiful girl he meets in a taxi. 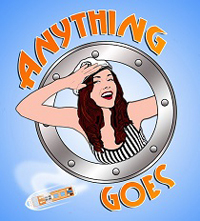 When he discovers she's boarding the SS American the same London-bound ship his boss and co-worker Reno are boarding, he sneaks aboard himself. The beautiful girl, Hope, is engaged to stuffy British aristocrat Lord Evelyn, but that doesn't stop love-struck Billy. With the help of other passengers, Billy seeks to shake Reno, whose love he doesn't return, and capture the heart of the girl of his dreams, and all without hurting anyone's feelings. This is one of Cole Porter's best musicals. It is light, frothy, frivolous, full of song, dance and will be a great company show. It is set mainly on board ship and has a wide range of characters from old(ish) to young(ish). Stephen Sondheim's 'Follies' is an aching recognition of tarnished dreams and lost innocence, set during the reunion of a bunch of Ziegfeld-style hoofers on the eve of the destruction of the theatre where they performed 30 years previously. 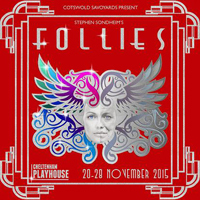 Full of complex ironies and memory 'Follies' is as much about the death of the American dream as any Arthur Miller play. 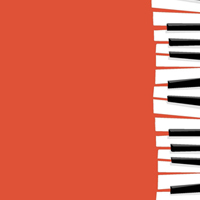 Its score – including 'Losing My Mind', 'I'm Still Here' and 'In Buddy's Eyes' – squashes the still prevalent idea that Sondheim can't write a tune. In its clever use of pastiche it's a love letter to Rodgers and Hammerstein, Cole Porter, Irving Berlin and all those other writers who made the musical one of 20th-century America's major contributions to the arts. 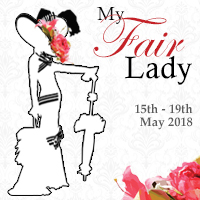 The audience will be haunted by the memory of a musical which brings past and present into collision on stage, placing slender young ghosts and middle-aged wobbling flesh side by side in an endlessly bewitching and unsentimental pas de deux of regret. Maybe that is part of the greatness of 'Follies'. The less it is done, the more you want to see it. The further you are away from it, the more it ensnares you. The older you get, the more it speaks to you. 'Follies' plays exquisitely on the unreliability of memory and the transitory nature of theatre; it is a stark warning against the distorting dangers of nostalgia. But those of us who glimpse it are caught up in its spell and yearn to stop it vanishing through the cracks of memory. Click here for cast list, photos and to read the NODA review.